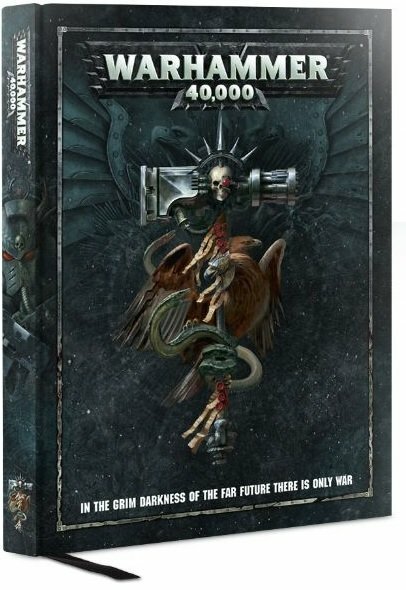 Players will now have two VERY different choices between 30K’s 7th Ed rules 40K’s 8th Ed. But which should you choose? 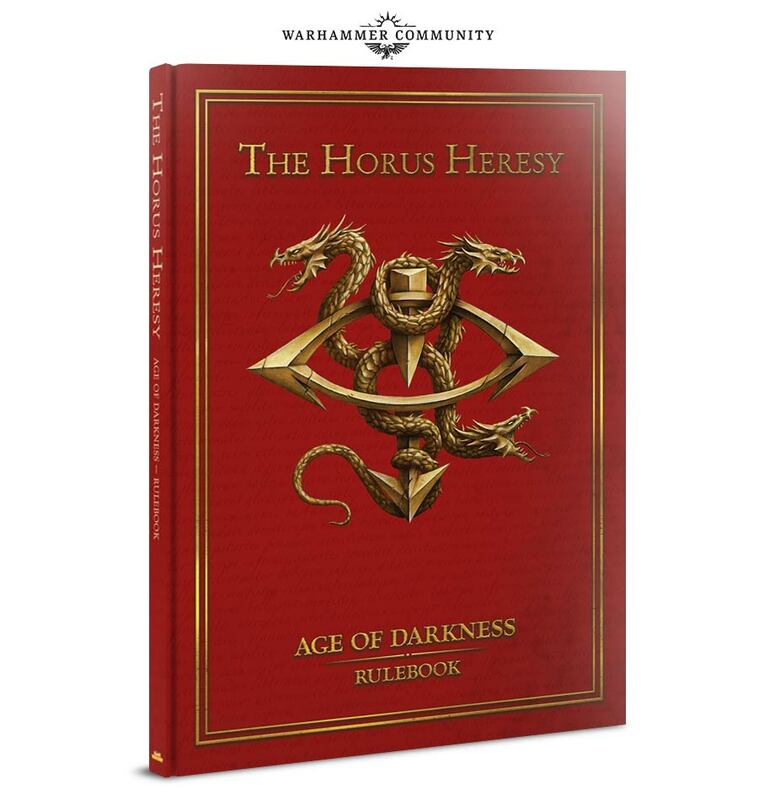 I think we can all safely say that 8th Edition has had a very smooth rollout this year. It’s been a big gamble and a monster hit for GW – sucking a lot of the oxygen out of the tabletop wargaming industry. There are people who chafe at its ultra streamlined rules and mono-statlines that unify everything from a Grot to a Warlord titan. There are still those who talk longingly for a more detailed ruleset. 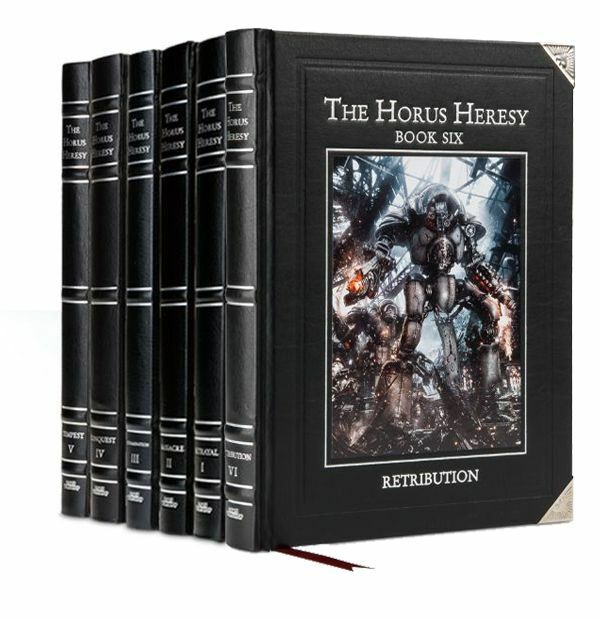 Now 7th Edition was roundly criticized for its over complexity and multi-codex allied craziness. 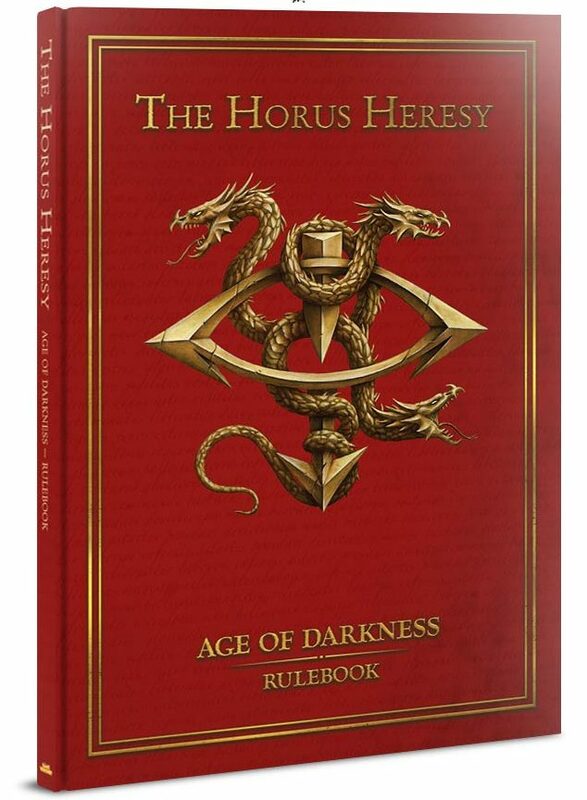 The new 30K Age of Darkness rulebook is only days away and is 100% committed to 7th Edition. But 30K didn’t have many of those issues. It had a very low level of psychic units. 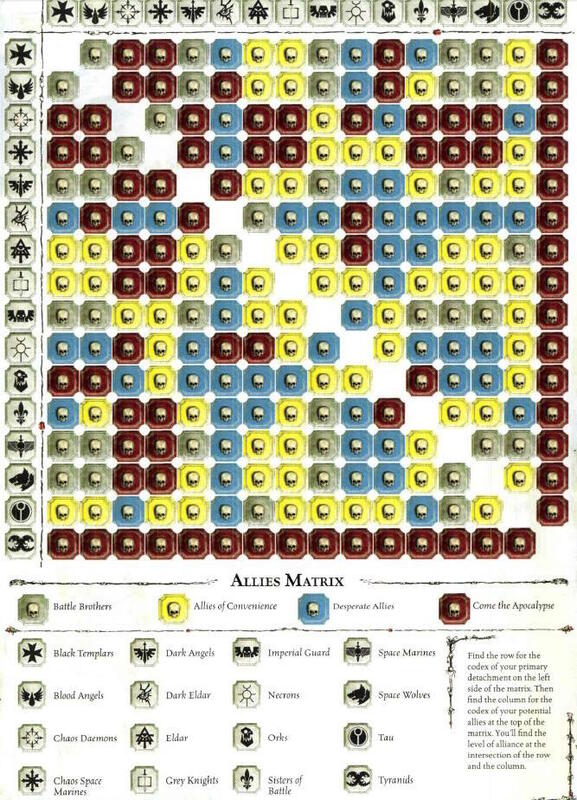 It had it’s own allied matrix – with a much smaller number of factions. It’s focus on MEQ vs MEQ action with a small set of fairly equal factions facing off kept overall balance in check. So my big question is when the new Age of Darkness arrives – how will the community react? A year ago I suggested that 30K should stick with a cleaned up FAQed, and tweaked 7th Edition ruleset to keep the gorgeous existing 30K books legal, and let the extremely loyal 30K community stay in their own sandbox. 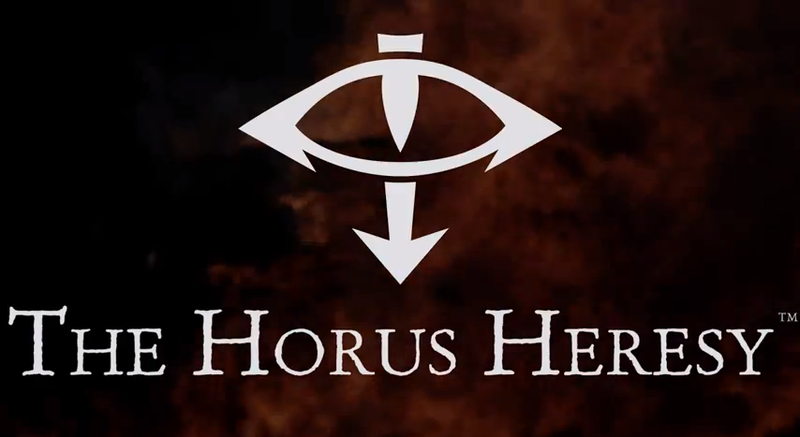 It would offer an “advanced game” setting that the purists could move “up into” from the standard streamlined 40K game. But with the success of 8th I’m uncertain. 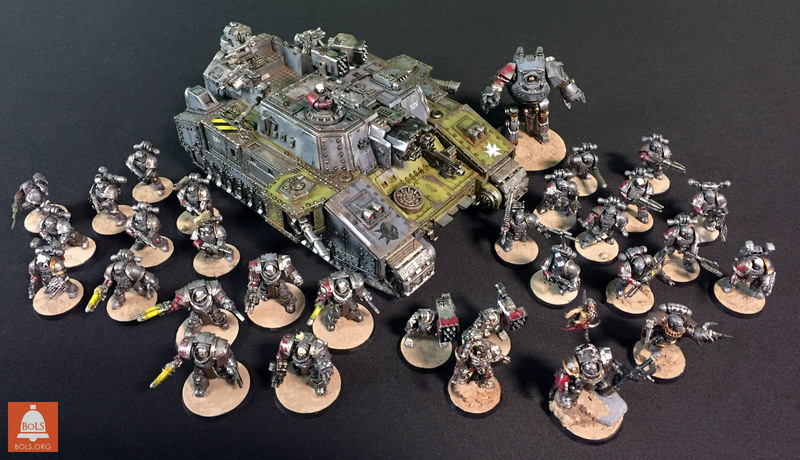 I really enjoy 8th Edition and would hate to see 30K die on the vine slowly in the shadow of 8th. On the other hand I think that the cleaned up 7th Ruleset is perfectly fine and does the Heresy setting justice, letting players really dive into the detail of the settings. I would say that the average 30K player welcomes the complexity and challenge of building and fielding a Legion forge they can call their own. 2017 has been en extremely slow year for 30K – and many players have lamented the almost complete production stop of new releases. I have nothing but the highest hopes for 30K and wish it the best. I say this as longtime 30K gamer with 4 Heresy armies. But I’m anxious about it finding its place in the new 2018 post 8th Edition world. My Dusk Raider Blackshield army. ~What do you think of the split and would you play a 7th Edition based game at this time?